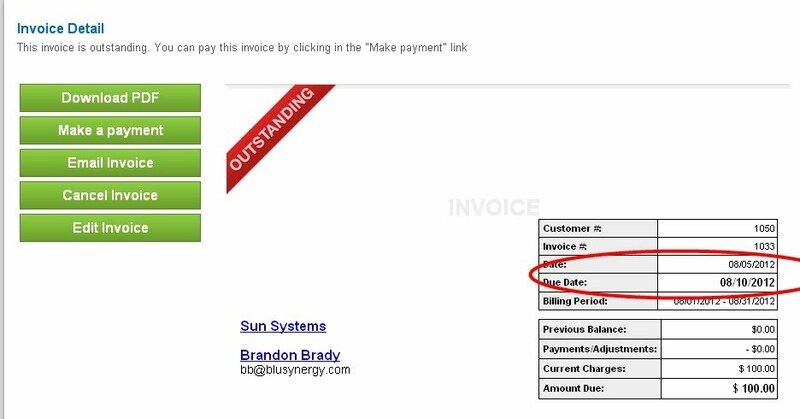 The system can now charge your customers on the Due Date that appears on the invoice as opposed to charging them immediately on invoice generation. 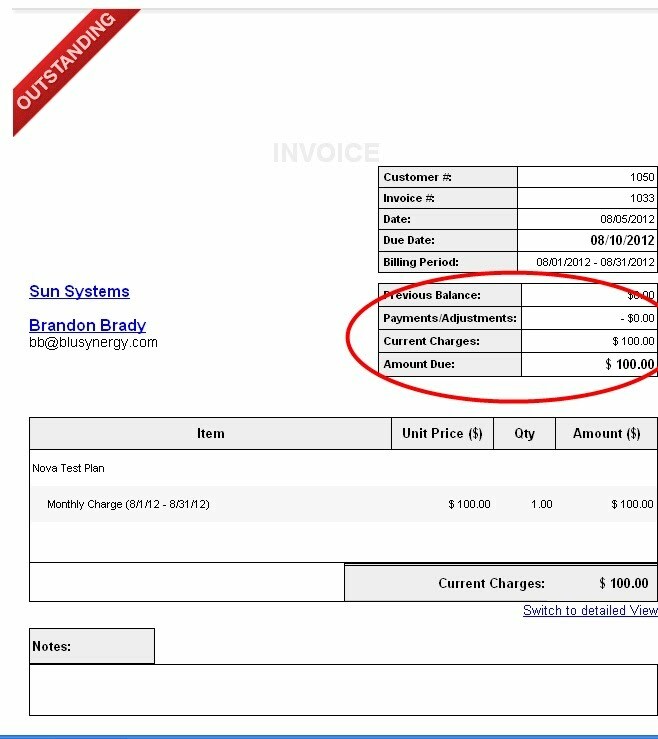 In this case, the invoice is sent out to the customer on 8/5/2012, but the card is charged on the Due Date which is 8/10/2012. The system now has the ability to automatically retry your customer’s credit card or ACH if it was declined on the first attempt.The retry's can be done on a Date schedule or on a No. of Days schedule according to your business needs. If an ACH payment has been declined you might want to set the retry's for the 2nd and the 16th of the month (Date schedule), most likely dates that paychecks are deposited into the bank. Or you could select the 3rd,5th and 7th day (no. of days schedule) after the decline to retry. 1. 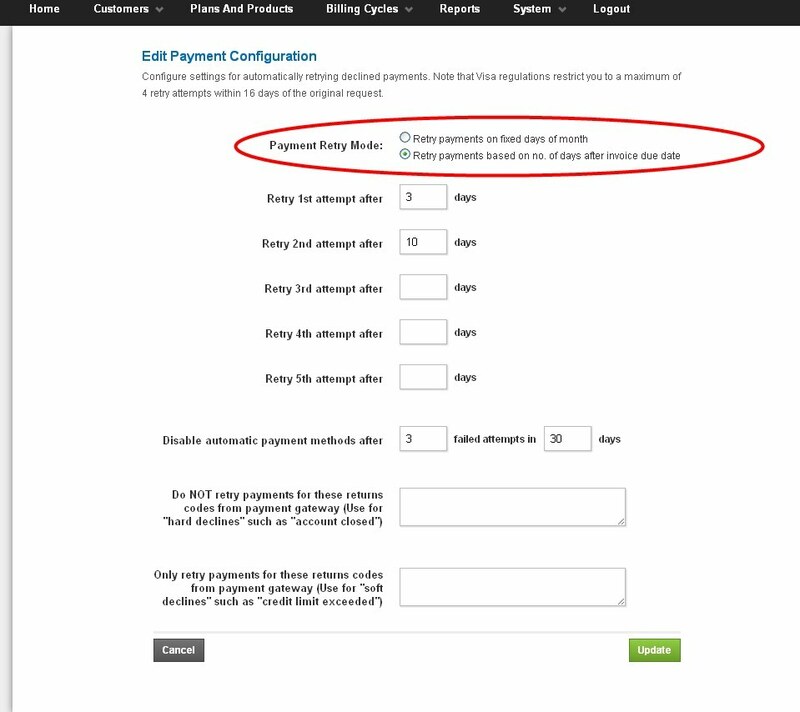 From the System menu, select Payment Configuration. If you would like to implement a strategy of retrying payments based on specific return codes from your payment processor, please contact support@blusynergy.com to enable this functionality. This function is generally used in conjunction with the Overdue Payment Notifications. In the example below, email reminder notifications are sent out when the payment is 15 days overdue, 45 days and then 60 days. In this example, when the the Customer Status is Overdue 3, a penalty of 5% is applied. Also, when the emails are sent out, their severity can be controlled. You can start out with a payment reminder and then make the reminder messages progressively stiffer. 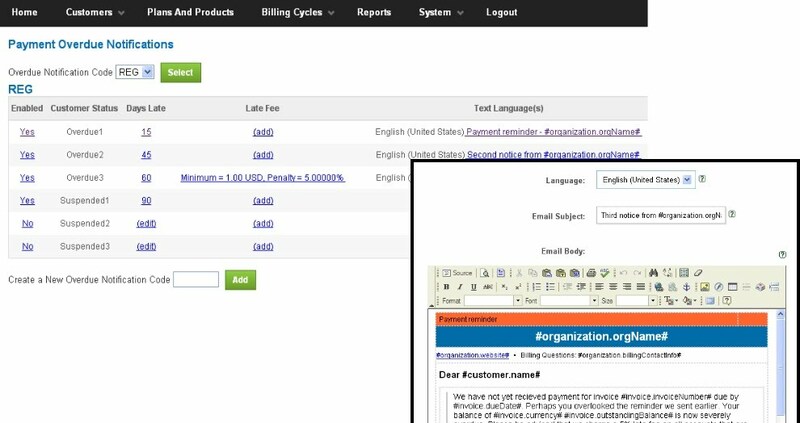 There is the multi - language functionality that you could use to have the emails sent out to the customers in their language.